RoomBop Blog: Christmas Design: 4 Classroom Resources! Christmas Design: 4 Classroom Resources! Prepare your classroom for Christmas with these 4 resources. Each resource below is based around the theme of design! 1. 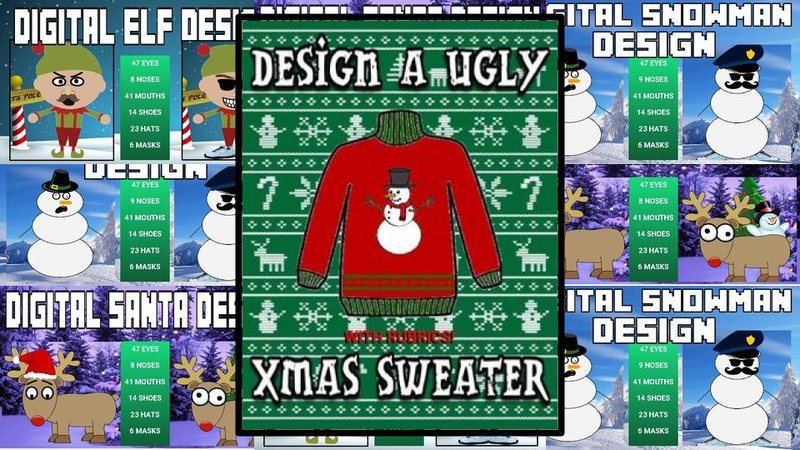 Design a Ugly XMAS Sweater: Wearing an ugly Christmas Sweater is one of the many favorite Christmas Traditions of many. 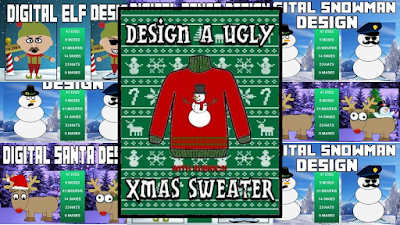 A ugly Christmas Sweater is like a normal Christmas Sweater but tacky (not stylish). This activity is great for an art activity. It even includes the rubrics! Additionally, you can just give this out to your students for some engaging fun before or during the Winter break! 2. Digital Snowman Design: You can have your students design a Snowman without the mess of paper. Bring Frosty to your class! This product uses Google Slides and includes instructions to allow each one of your students to create their own Snowman design. 3. Digital Elf Design: You can have your students design a elf! This product also uses Google Slides and includes instructions to allow each one of your students to create their own Elf design. 4. Thanksgiving Writing Templates: Dasher, Dancer, Prancer, Vixen, Comet, Cupid, Donner, and Blitzen.....You can have your students design a Reindeer. This product uses Google Slides and includes instructions to allow each one of your students to create their own Reindeer design.